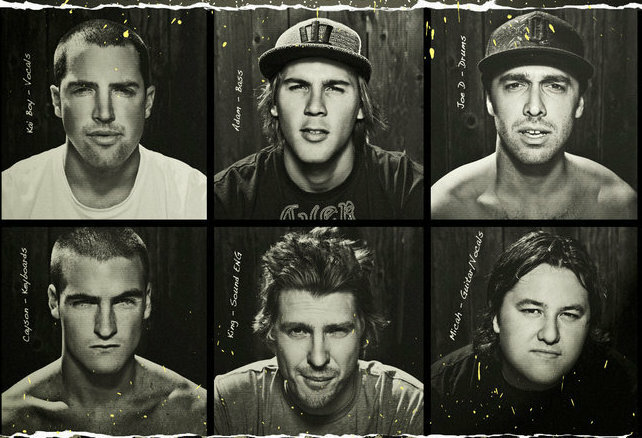 Iration is an alternative/reggae group of musicians formed in Isla Vista, CA. A deep-rooted reggae influence is fused with elements of rock and pop to create smooth original sounds that keep listeners’ feet moving, hands swaying and hearts beating – “We’re all about luv”, states the band. All members met while growing up in Hawaii but formed Iration after reconnecting in Santa Barbara, CA. They have since released three full-length albums, Automatic (2013), TimeBomb (2010) and No Time for Rest (2007), as well as three EP’s, Fresh Grounds (2011), Sample This (2008), and New Roots (2006). Time Bomb, which has sold 40K+ copies, hit #1 on the iTunes reggae album chart and remains within the top 20 on Billboard’s Reggae Album Chart to this day. Their third full-length album, Automatic, was released July 2, 2013 – it debuted at #75 on the Billboard Top 200 chart, #17 on the Billboard Independent Album chart, and #1 on the Billboard Reggae Album chart. Combined, Iration has sold 60K+ albums and EPs, along with over a quarter of a million single downloads to date. The group has been touring nationally since 2008, have performed at festivals such as: Lollapalooza, Wakarusa, Sierra Nevada World Music Festival, Sunset Strip Music Festival; and headlined several successful national club tours fostering multiple sold-out shows throughout the country. The Hawaiian-bred musicians look forward to spreading their original sound and Aloha spirit all the while never forgetting to get a surf in when possible. Editors Note: Bio direct from Iration. Members: Joseph Dickens (Drums), Joseph King (Engineer), Cayson Peterson (Keyboard/Synth), Micah Pueschel (Guitar/ Vocals), and Adam Taylor (Bass).